Yesterday, Nintendo held one of their "Nindies Showcases" to highlight some of the titles that will be headed to the Switch over the next few months. There are a few stand-out single-player games (like Mark of the Ninja Remastered, The Messenger, and Banner Saga 3), but, of course, we were more focused on the co-op games. Help guide a fallen star home in Pode, dodge shapes to the rhythm of phat beats in Just Shapes and Beats, or decide the fate of your kingdom in Reigns: Kings and Queens. We've embedded the full video below if you want to check out everything that's in the works, but here are the few co-op highlights (along with their time stamps). Just Shapes and Beats (2:39) - team up with three other players locally or online in this "bullet hell" style rhythm game featuring songs from 20 different chiptune artists. Four player couch co-op or four player online co-op is supported throughout the story campaign, and in a separate co-op mode. Reigns: Kings and Queens (5:35) - combining content from the original Reigns as well as the Reigns: Her Majesty expansion, Reigns: Kings and Queens tasks players with listening to the "never-ending gauntlet of requests from your advisors, peasants, allies, and enemies while maintaining balance between the influential factions of your kingdom." An exclusive co-op mode has been added to the Switch version of the game that lets two players team up to make decisions together. 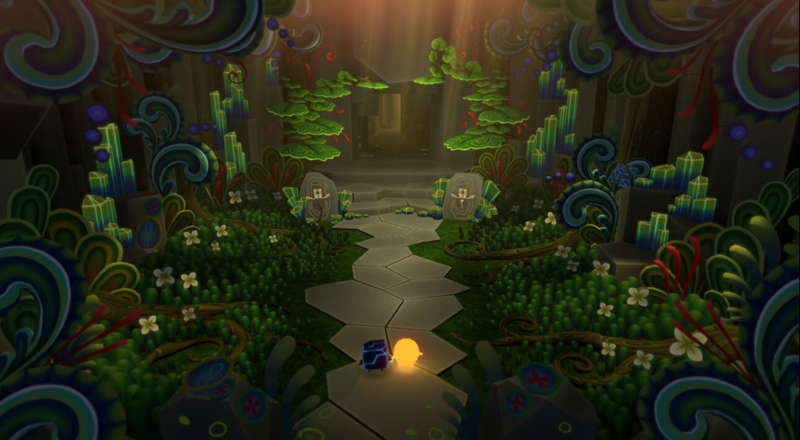 Pode (8:31) - a two player puzzle platformer/adventure where players control a rock (Bulder) and a fallen star (Glo). You must work together to explore a mysterious mountain and guide Glo back home. Two player couch co-op supported throughout the campaign. All of these titles will be available on the Switch later this Spring, or in the Summer.